All of us love a clean house and when we get in the mood of cleaning, we do it with such an energy that sometimes we end up cleaning too much. Yes, you heard it right, too much. There are several experts these days warning us of the “dangers” of a sterile environment; houses that are clean top to bottom, with no sight of dirt, can make your immune system non responsive; therefore there are more possibilities of developing allergies. What can we do to make sure our home is clean without converting it into a sterile bubble? 1- Clean often: Do you remember how long it took you to get rid of that tomato sauce stain? If you leave dirt for later chances are you will need to use strong products to scrub it out. If you wipe clean as you go, in most situations a damp cloth would be enough to clean the area in question. 2- Do not use antibacterial products: These are linked to allergy reactions if used in excess. Antibacterial chemicals contain triclosan, which is a pesticide and an endocrine disruptor. So in fact, you could be causing more harm than good when using them. 3- Use chemicals with no fragrance: Perfume on cleaning products is made of hundreds of chemicals, some of them dangerous to your health. If you want to freshen your home, open windows, buy fresh flowers or bake a cake! 4- Do not over do it: When you clean, use only as much cleaning product as you need, no more. The less you use the less toxins you will spray into the air. These are simple steps to help you take care of your family’s health while cleaning your house. Like with everything, go step by step, try to clean with a mild detergent; if it doesn’t work then try something stronger, but if it works your job will be done with no harm caused. This entry was posted in How to... and tagged antibacterial, chemicals toxins, cleaning products, cleaning tips, cleaning toxins, fragrance free, how to clean my home on 08/03/2012 by admin. What would be the cleaning product you can’t live without? For us it has to be Kilrock descaler gel. It even comes with a small brush! Wipe it around tricky places, such as a shower head or the tip of a tap, leave it for some minutes et voila! magic! no more limescale. It is OK to use on stainless steel, plastic and ceramic, but be careful with enamel. Try it and let us know what you think or share with us your best ever cleaning product! This entry was posted in Uncategorized and tagged cleaning products, cleaning tips, household chemicals, limescale remover on 29/11/2011 by admin. Indoor Allergy Week runs from 14th November to 20th November. As the new research from charity Allergy UK shows, “home fever” is on the increase, with an estimate of over 12 million people in the UK allergic to their own homes. 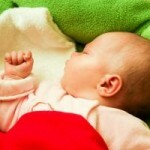 The common symptoms of “home fever” or indoor allergy is a runny nose and sneezing, easily mistaken for a flu or cold. As the research says dust mites, mould and pets are the major cause of allergic reactions. But over 35% of allergy sufferers react also to chemicals in cleaning products. – Dust regularly with a damp cloth. -Ventilate your home every day, at least for 10 minutes. – Wash bed linen once a week at 60C. – Buy new pillows every year. – Replace your mattress every 8/10 years. – Hoover your carpet regularly and steam clean it once or twice a year. Are you an allergy sufferer? Check http://www.allergyuk.org/ for more advice. This entry was posted in Uncategorized and tagged allergy reaction, allergy uk, amy cleaning, cleaning products, dust mites, indoor allergy week, mould, professional cleaner on 15/11/2011 by admin. 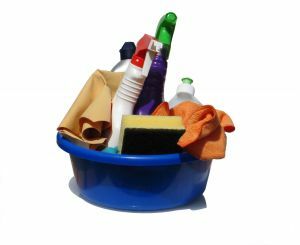 Here you will find the basic cleaning products you will need to keep your kitchen up to standard. For the daily cleaning. There are eco friendly cleaners with lovely smells that you can use safely on any kitchen surface. You may find this useful to get rid of the grease on cupboards, worktops, walls and any other kitchen surface. Mix one part of white vinegar with two parts of water on a spray bottle and use it regularly. This is specially formulated to clean kitchen worktops after preparing raw meat or fish. It will kill most of the germs, thus avoiding the spread of illnesses. For that hideous grime and lime on the kitchen sink. Use the vinegar solution regularly and the lime scale remover once you see the lime scale building up. Check on the market for a specific chemical depending on which material your floor is made of; you can find cleaning products for tiles, wooden floors, laminate… This will give you a truly professional finish. Check http://www.amycleaning.co.uk/blog on the next few weeks for more information on essential products to keep your house clean! This entry was posted in Cleaning products and tagged amy cleaning, cleaning products, kitchen cleaning on 30/08/2011 by admin. The quality of cleaning, whether done by you or a professional cleaner, depends highly on the products used. It is easy to get confused in the current market as there are so many options to choose from. 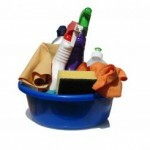 Bellow you will find a list of basic cleaning products created by Amy Cleaning to help you out. It may be very tempting to buy multipurpose products for the house, but this is not the route to take for best results. Remember that products orientated to specific target market and specific surfaces in this case, will always work better. If you have wooden surfaces, invest in a good polisher for wood; if you have marble, look out for sprays designed to clean marble. Multipurpose cleaners may even damage your surfaces in some cases so always keep an eye on something designed for sole purpose. Here at Amy Cleaning the most common problem that cleaners come across is that they do not have enough cloths. Please make sure that you invest into cloths and sponges on a regular basis as that is something that can only be used for limited time before it has to be disposed off. Bear in mind that your cleaner will be using separate cloth for each room and each area of your house. Always discuss with her what she needs and follow her advice. This entry was posted in Cleaning products, How to... and tagged amy cleaning agency, cleaning products on 07/06/2011 by admin. Bleach has been used in households for ages and is still enjoying popularity amongst other cleaning products. In fact, some claim that it is irreplaceable. However recent studies and experiments proved that bleach is a very dangerous chemical and one that should not be used at all. Unfortunately, nowadays it is often used mixed with chlorine or sold under different labels. Around a quarter of emergency calls from household accidents epicenters are chlorine and bleach related. While chlorine isn’t toxic to the body, the chemical reactions that often happen while using it produce extremely toxic products. These build up in the environment, cause dangers to the water supply, kill fish, harm animals, and enters our bodies through the food chain. Bleach is also the cause of serious health problems. It is especially dangerous for people with allergies and asthma but can be the cause of respiratory problems, burned skin, and even damage to the nervous system. Often, the danger occurs not from the bleach or chlorine directly but from chemical reactions that occur when those are mixed with other products. •	Many people unknowingly mix chlorine with dish soap while cleaning the kitchen. This produces mustard gas, the same gas used to kill many people during World War I. •	Chlorine is also easily mixed with ammonia. The results of this cocktail is a toxic gas which may even stop lungs functioning in severe cases. Generally you will be able to see the fumes, but be aware as sometimes, they will remain invisible and you may not realize your are breathing in a potentially life threatening gas. We can carelessly create this reaction by mixing cleaning products or even cleaning toilet as our urine contains ammonia too. •	Chlorine also mixes with organic matter creating chloroform. This can happen in the house, while cleaning, but also outside of the house when mixed with organics in the environment. These reactions build toxin beyond your doors, neighborhood or even state borders. There are always safer alternatives to bleach so follow our blog to find out more about this and for the time being, throw away that so familiar bleach bottle and turn away when you see it tempting you from supermarket shelves. This entry was posted in Cleaning products and tagged cleaning products, dangerous cleaning products, health problems on 15/12/2010 by admin.